I hope you are enjoying this "Month of Monkess" here at the World of Wonder. As some of you know, my family and I have a scholarship that we started 7 years ago in honor of my late father. Each year, the scholarship is awarded to a graduating high school senior attending one of the schools located on the CT shoreline who plans on pursing a career in the arts. It is called "The Richard S Dart Memorial Arts Scholarship" and so far we have awarded six aspiring artists! To help raise funds for this scholarship I have decided (regrettably) to sell off some items from my prized Monkees collection. So, starting today, I am auctioning off these items on E-Bay in hopes that they will go to good homes! 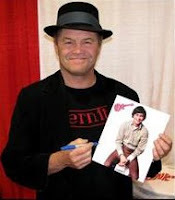 To help me on this "pledge drive", my good friend, Micky Dolenz, has donated some autographed items to put up for auction. All of the signed items came directly from Micky who signed them all personally and each one comes with a certificate of authenticity. All proceeds from these auctions will go towards the scholarship fund and I will include a receipt with each item so that you can claim the auction as a tax deduction. The Monkees TV Series Complete VHS Box Set with booklet and collectible watch - Most of these tapes have never even been taken out of the box! 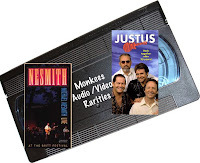 Monkees VHS Tape Collection including NESMITH LIVE, the JUSTUS promo video and two "boots" of Monkees Video appearances on television both as a group and solo. All tapes are in excellent condition! The Monkees Greatest Hits CD personally signed by Micky Dolenz complete with a certificate of authenticity from the man himself! An 8'X10" color photo of Micky signed by him complete with a certificate of authenticity from the man himself! - a small photo book featuring pictures taken by Micky Dolenz on the 1967 Monkees tour with Jimi Hendrix personally autographed by Micky! ( This item is sooo cool I had a hard time not keeping it for myself!) As with the other autographed items it comes complete with a certificate of authenticity from the man himself! Daydream Believer Remix 1986 - This is the single that Arista released in October 1986 with a remix of Daydream Believer backed with Randy Scouse Git. It comes complete with the original picture sleeve and is in excellent condition! Heart and Soul/MBGBT Single 1987 - Excellent condition single released by RHINO in 1987 complete with picture sleeve! This is the regular "black vinyl" release and is in excellent condition! Heart and Soul/MBGBT Single on PINK VINYL - The same single as above only this one is on "bubblegum pink" vinyl and the picture sleeve is a more durable cardboard sleeve. This is in MINT condition. Monkees Coffee Mug - Brand New! 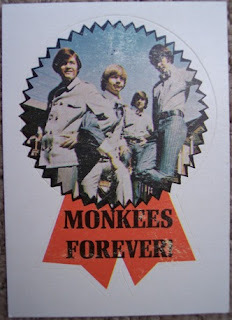 Still in the original, cool, Monkees logo box! Monkees 20th Anniversary Tour Baseball Cap - Brand New! Never been worn! Bought at a concert in 1986 and then hung on my bedpost for the next 13 years! Has a little dust on the brim but is in otherwise mint condition! 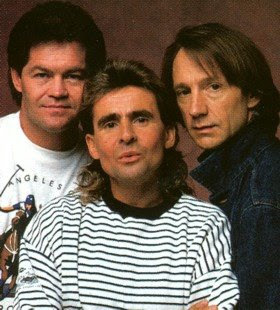 As we all know, The Monkees have performed numerous reunion tours starting with the giant 1986 20th Anniversary Tour and concluding with the 2002 tour featuring just Micky and Davy. (Ironic since the last original Colgems album featured just Micky and Davy). During those tours, live concert albums were sold at the merchandise table that were not available anywhere else. These releases are all long out of print and new copies will never be made again. However, we here at the World of Wonder are happy to announce that over the course of "A Month of Monkees" we will be offering these great live albums for your listening pleasure. The first, and hands down, the best of these live albums was offered on their 1987 tour. 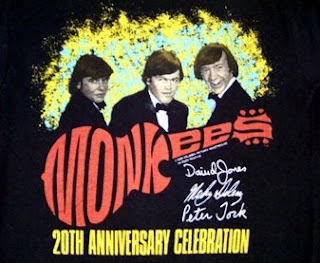 The 1986 Monkees Tour sold out every venue it stopped at, making it the #1 grossing tour of that year. The final two dates in Charleston, WV on December 1 at the Civic Center Arena and in Bethlehem, PA on December 3 at the Stabler Arena, were recorded and resulted in a quality record that can't help but make the listener sense the excitement & energy of the large crowds that attended the concerts. When The Monkees went back out on tour in 1996 for their 30th anniversary, this album was re-issued on CD and sold at the merchandise table. Instead of a pristine digital transfer of the original tracks, the CD was just a recording of a mint condition LP due to the fact that the master recordings had been lost. 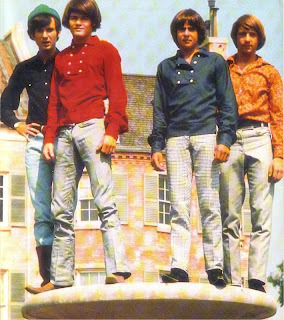 (there is a rumor that the masters may have been found since that time) It is interesting to note that both the original LP and the CD reissue were both credited to Davy Jones, Micky Dolenz and Peter Tork and not The Monkees. 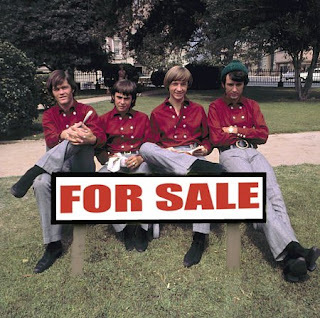 The reason for this was that at the time of the original release in 1987, Columbia Pictures still held the rights to the Monkees' name and they would get a portion of the profits as a result. Already having to share their proceeds from their sold out tours and original album reissues, the boys were not about to share the profits from their new live album. By 1997, RHINO had purchased the rights to the name and saw to it that the guys received all that they had coming to them. However, the CD still did not carry the Monkees name. Interesting . . . Here is that live album. Enjoy! One album that Michelle 66 did not make in her "Alternate Reality" project was the soundtrack to HEAD. In her "alternate reality" the film was never made. 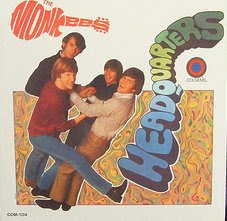 However, I felt that HEAD was too important a part of Monkee-ology to exclude it from an alternate reality. So, I created the alternate reality HEAD album. For the most part I stuck to the original but made a few changes. First, I leaned more towards film versions of the songs instead of the ones originally released on the album. For example, there is the obvious choice of the live version of "Circle Sky" instead of the studio one but how about the normal speed Ditty Diego instead of the one that constantly changes speed? I did it. I also included an alternate version of "Daddy's Song" that differs from the film version but still has the slow, a Capella section that wasn't on the original album. My favorite change is the mix of both the original Micky version and the then unreleased Peter version of "Can You Dig It?". I wanted to keep true to the film but I really liked Peter's vocal as an "alternate reality" track. The solution was to combine them together. The lengths did not match up at first but I did some fancy editing to make the ending a little more "psychedelic" and managed to make sure they ended together. The other difference comes in the song order. I chose to put "Happy Birthday" on the album but put it before "Can You Dig It?" instead of before "Long Title" where it appears in the film. I also took away "Swami Plus Strings" and put in the radio spots which I called "Outro/Intro" to make it one continuous listening experience that has no beginning and no end. 6. Can You Dig It? 13. Long Title: Do I Have To Do This All Over Again? As you can see, when it came to the cover, I kept it simple . It is by no means anywhere near the quality of Michelle 66's art work so I chose to go simpler rather than try to keep up with her. It may not be the greatest cover art, but it is what it is. Also, I chose not to make a back cover or a label. I couldn't figure out what to do for a back cover and I didn't want to embarrass myself trying to recreate a Colgems label as well as Michelle 66. Maybe in the future. Feel free to add your own back cover or label if you come up with an idea. For now, enjoy the Alternate Reality HEAD Soundtrack! One of the more common "bootlegs" of The Monkees is a compilation of demos, television versions and Mike Nesmith pre-Monkees singles called "Candy Store Prophets". I believe it was part of the famed "Rarities" series of boots that were once available on vinyl back in the 80s. I have had Candy Store Prophets for quite a few years. It was recently, however, that I was made aware of a second batch of songs that comprised a whole second disc of the album. I also found out where the name of the boot comes from. Apparently, when Boyce and Hart were making the original demos as well as the backing tracks for the first album, they used their own backing band that they christened "The Candy Store Prophets". They would also go on to be the opening act for The Monkees on their first live tour in 1967. The boot features the original demos that Boyce and Hart put together using the Candy Store Prophets. The other material is, as stated above, eraly, pre-Monkees singles from Mike Nesmith, various alternate versions of songs that were featured in the show and bumpers from the show. There is also an ad for HEAD from Japan and a few songs from 33 1/3. Some of these have been released in the Missing Links series or on other various boots but there are a bunch that have not. Today, I present the entire two disc collection for your enjoyment. Here is "Candy Store Prophets". Enjoy! Here are some more issues of the Monkees comic book from 1967 as put out by Dell Comics. Continuing in order, these are issues 3 and 4. As with the last two, the comics are complete with the exception of full page ads that don't feature the Monkees. Enjoy! Of course we can not forget the Classic TV Episode of the month when we are dealing with the Monkees. 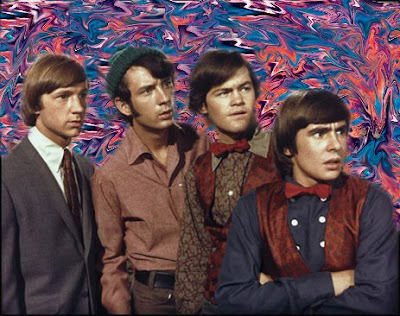 If it wasn't for the TV show, there would be no Monkees to speak of. 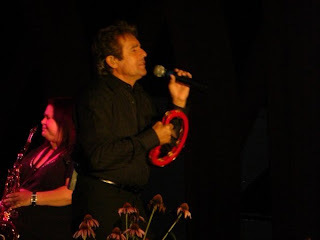 Here is the "Monkees On Tour" episode. It was the first season's finale. Enjoy! Here are the next two "packs" of Monkees trading cards from the 90s. Hope you are enjoying them. I wish I had the complete set of the original cards from the 60s. All I have is a picture of the wrapper over there on the right. Feel free to download that as well. Just click on it to get the full size version! 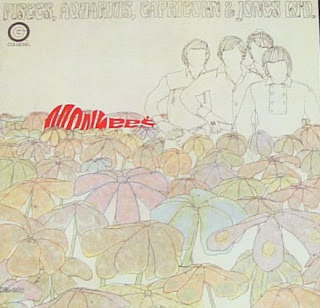 Continuing on with the "Alternate Reality" series on Monkees LPs, today we feature the Alternate Reality "Pisces, Aquarius, Capricorn & Jones, LTD.". As with "Headquarters", the track listing comes from an authentic early line-up, keeping it close to the original (you can't mess with perfection!). The one huge difference was the omission of "Love Is Only Sleeping". This was because in the "alternate reality", that song was the non-LP single (as it was originally supposed to be for real). Also, the joke announcement recorded by Peter is added to the top of the track line-up. Originally, this was perceived as too much of an in-joke and it was left off of the album. Here in the "alternate reality", it gets the green light and is released. 10. What Am I Doing Hangin' 'Round? A Month of Monkees: Celebrity Endorsement! Over at Davy Jones' Facebook Page, he gave the World of Wonder a rousing endorsement by posting a link to yesterday's comic book post! It doesn't get much cooler than that! Today we have a special Singles Collection episode featuring, of course, The Monkees. 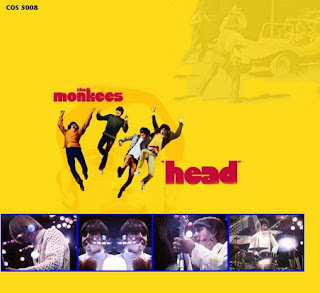 Back in 2007, RHINO Records released the second phase of their "Deluxe Edition" Monkees reissues with the release of the deluxe editions of "Headquarters" and "Pisces, Aquarius, Capricorn & Jones, LTD.". With these releases came a special promotion. If you ordered both of them from RHINO before a certain time, they sent you a bonus vinyl 45 containing an unreleased song and an alternate mix of "Daydream Believer" complete with an all new picture sleeve. The unreleased song was a tune called "“I Didn’t Know You Had It In You Sally”. It was taped for the group in February ’67, but Micky didn’t lay his vocal on the track till ’69. 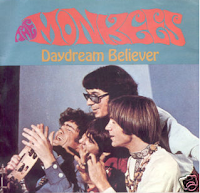 The alternate mix of “Daydream Believer” shows what the song was like before the addition of brass and strings. It features a cool extended ending. What's even cooler is that they wrote in the inner wax! The "Sally" side says "SALLY KNEW MAGNOLIA!". This is a reference to Magnolia Simms. "Sally" is very similar in the style and even in the addition of surface noise to the recording. The "Daydream" side says "HOW FUNKY!". You've got to love the fact that they went out of their way to do that! Here is that single for you, complete with picture sleeve. Enjoy! In 1986, the Monkees were headlining what would become the highest money-making tour of the year. 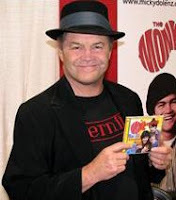 They released a hits compilation called "Then and Now, The Best of The Monkees" that featured three new songs recorded by Micky and Peter. The first single off of this album was "That Was Then, This Is Now", a cover of a song originally recorded by the Mosquitos. 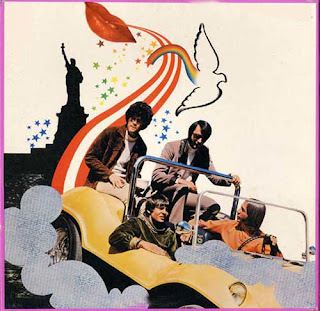 The second single was supposed to be another of the three new songs but Arista records (with a lot of persuasion by one Mr. Davy Jones) chose to release a remixed version of "Daydream Believer" instead. To "80s-a-fy" the song, they increased the speed a tad, added new drums and bass and gave it a "tinnier, higher pitched" sound. The results were not what they had hoped. It came and went with not much of a fanfare. They did release it with a picture sleeve that was pretty much a copy of the original picture sleeve from the 1967 version. Here is that remix. (by the way, the original pressing of Then and Now featured the original recording of Daydream Believer. All of the reissues featured the remix.) Enjoy! Today marks a first for the World of Wonder. For the first time in 3 1/2 years I am sharing a comic book! It may seem odd that I am making a big deal about it but after all this time of sharing albums and singles and ads and everything else, a comic book sharity is a brand new item for me. While some people choose to post their comic books in pdf files, I have chosen to simply just post each page as an individual jpg file. It was the easiest way for me to do it at this time. 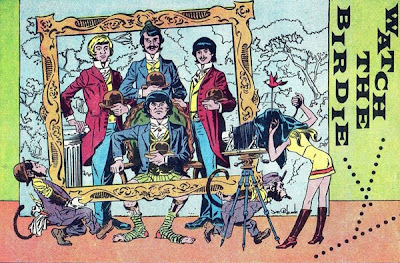 So, after all of that, the first comic book post is of course the comic book version of "The Monkees". In March of 1967, Dell Comics started a monthly comic book containing all new adventures of the pre-fab four in full color. Throughout the month, I will be posting various issues of the Dell comic series in their entirety. The only things missing are the full page ads that have nothing to do with The Monkees. Today I share with you the first two issues. Enjoy! Moving forward with the "Alternate Reality" LPs put together by Michelle 66, today we have the alternate reality Headquarters. The original lineup of tracks for the album slightly differed from the line up actually used. The original lineup was printed in the accompanying booklet for "Headquarters Sessions" released by Rhino Hand Made back in 2000. Michelle 66 used that as the basis for her vision of the alternate reality version of the album. I took it one step further. Originally, A Little Bit Me, A Little Bit You was supposed to appear on the album but the master tape never arrived from New York in time to be used on the album. 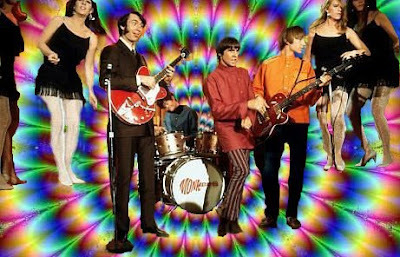 It turned out to be a good thing as it was the only song that the Monkees did not have a hand in producing or recording. It would have been completely out of place with the rest of the album. Using this mentality, I removed the track from the listing and in its place put "All of Your Toys". The reason behind this was that it was recorded by the boys during the Headquarters sessions and it keeps the feel of the album in tact. Other than that, I stuck to the original song lineup. Also of note on this "alternate reality" LP is that it is presented in MONO rather than STEREO as we have done with the last two. And as before, I have not included Michelle's "Bonus Tracks" to keep in step with the pure feeling of a legitimate "Alternate Reality" from the 60s. Enjoy! 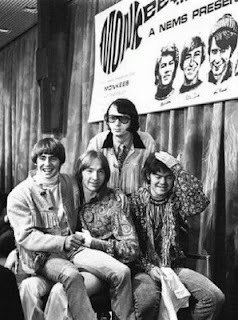 Three days ago I posted the "legal bootleg", The Monkees Talk Downunder" and talked a little bit about the "Far East Tour" that the boys undertook in 1968. Since we spent some time talking about the Australian part of the tour then, we focus on the Japan portion of the tour today. It was in Japan that the band played two concerts at Festival Hall in Osaka on October 7 and 8, 1968 . One of these shows was filmed and later broadcast on Japanese television. This recording, however, has never been officially released. The video from this broadcast is presumed lost forever. The audio, on the other hand, is presented for you here. Here is the complete audio from that Japanese television broadcast complete with the announcers telling the viewers what each song is before we hear it. 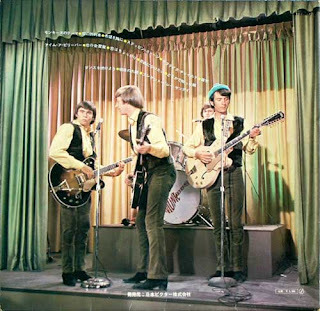 This is a great sounding bootleg and the Monkees as a band are on fire! In my opinion, the performances on this bootleg outshine the ones released on "Live 1967" by a long shot. Judge for yourself when you listen to "The Monkees-Made In Japan". Enjoy! Here are some random items that I have found floating around the internet that deal with The Monkees. Click on the pics for the full size versions. First up are a few TV ads for the world premiere of the show back in 1966. And here's one from when it went into syndication on Saturday mornings in 1975. Followed by a synopisis from the episode "Monkees In Paris" and an ad for their all new special in 1997. Here are some random teen magazine articles featuring the boys and a photo of Davy and his then wife and daughter from an early 70s issue of 16. This one is pretty interesting. It appears to be an application to join a Davy Jones fanclub. Here are some ads featuring the boys from their days doing Kool-Aid and Nerf commercials. Here are some backstage passes from their various tours in the 80s and 90s. I own one from the 1997 tour when Creamed Corn was the opening act on the last show of the tour. But that's another story . . . Here's an ad for a concert on their 1987 tour with opening act, "Weird Al" Yankovic. Many consider this tour to be their best. I know I do. Speaking of ads, here are some more recent ones featuring Davy advertising some kind of investment company. That's all for now. See you tomorrow when we continue with "A Month of Monkees"! 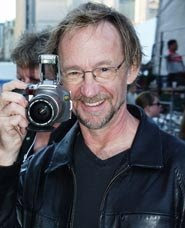 Peter Tork has had an incredible journey since he left the Monkees. He went through a battle with alcohol and drugs that he was victorious in. Following that, he rejoined his fellow Monkees for their various reunions and then started a solo career in the mid 90s. From the end of the 90s to the present day, he has led his own blues band, Shoe Suede Blues and has moved back to his native state, CT (my native state as well). Though he is happy to be back in CT, the reason for him being here was not a happy occassion. His father passed away and he moved back to take care of his mother. It was soon after that, that he was unceremoniously kicked out of the Monkees due to a contractual fight that he had with certain concert dates that he did not want to attend. He is currently battling a rare form of mouth cancer but he is confident that he will beat it and continues to perform and evens hosts a "forum" on his facebook page where he answers questions from friends and fans. He also writes an advice column for a newspaper and internet blog. But back in 1995, he was doling out sexual advice along with Riki Rachtman (yes, the guy from Headbanger's Ball) and Dr. Drew on the syndicated radio show, Loveline. He was a special guest on the show because it was part of his publicity tour for the release of his solo album "Stranger Things Have Happened". Along with the great advice he dishes out to teenagers and twenty somethings, he also plays a couple of tracks from the album and talks a bit about his career both with and without the Monkees. There are times where he tries to avoid being listed as "from the Monkees" but for the most part, this is an interesting show. Here is the complete broadcast from February 12, 1995.One day before his 53rd birthday! Enjoy! Now available: High quality HOPE ON silicone wristbands so you can wear your heart on your sleeve and show support for Peter Tork and cancer patients worldwide. These fine two-color bracelets are made in the USA and say HOPE ON on the front and PETER TORK & SSB on the back. A portion of all profits go to charitible organizations supporting research and providing services for people with rare cancers - the Adenoid Cystic Carcinoma Research Foundation (www.accrf.org),the largest ACC research organization in the world, and to another non-profit organization to be named later by Peter. COST: $3.99 each plus $1.75 s&h = $5.74 for orders inside the United States (for orders outside the USA, please inquire first for postal rates). Checks and MO's should be made out to Therra Gwyn. Paypal payment or request can be sent to e-mail address tcgwyn@yahoo.com. Tell them the Dartman sent you! From September to October in 1968, the Monkees did their first tour of Australia and Japan which they entitled "The Far East Tour". It was extremely successful for the Monkees. Even though their popularity was beginning to calm in other countries, the concerts there were a critical and commercial triumph. While in Australia, the Monkees gave many interviews and press conferences that were released on a "legal bootleg" entitled "The Monkees Talk Down Under" in 1988. The album features no music but some very cool interviews with all of the members of the band. These interview discs were a giant monopoly from the late 80s through the 90s. They were a quick and legal way to cash in on the hit makers of the day. Most of them are a waste of time but this disc is actually pretty cool. I present it for you now. Enjoy! 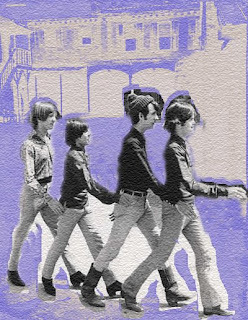 Continuing with my collaboration with Michelle 66, I present to you the second "Alternate Reality" LP from the Monkees. In this alternate reality, "More Of The Monkees" features only tracks produced by Boyce & Hart / Nesmith (ala the first LP). But, what to do with all of the quality tracks produced by Jeff Barry at the same time? 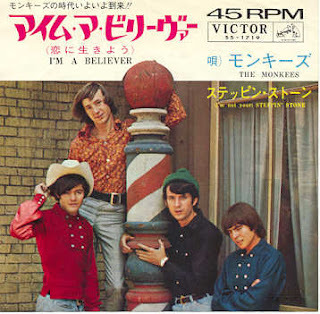 After all, Don Kirshner would never let the boys not release "I'm A Believer"! Well, in the alternate reality timeline, Colgems released a *third* Monkees' album in March 1967. It was a "quickie" to cash in again. 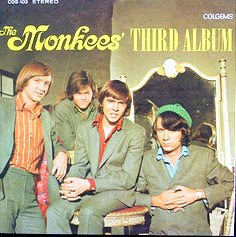 Whereas in the real world, the Monkees were angry at the release of their second album without their knowledge, in this alternate reality they wouldn't care about the release of a "third album" as they were working on Headquarters at the time of it's release. It all makes perfect alternate reality sense! As with the last alternate reality LP, Michelle 66's original art contained "Bonus Tracks" on the mini-LP. Once again I chose to keep it "bonus track free" to make it feel more like a legitimate release from the 60s. 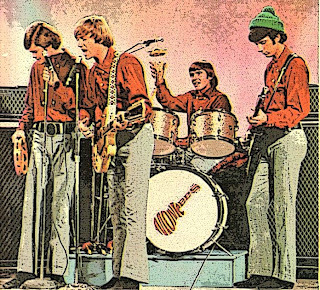 And as with the alternate reality More of The Monkees, many of the tracks used are alternate takes and recordings. Enjoy! More From The Original "Girl Next Door"